This division includes the engineering, installation, operations and maintenance services relevant to electrical installations. It includes electric transformer, four pole structure, PCC & MCC panel, control PLC panel, cable laying & earthing & termination is upto 66 kv line. Repairs: Repairs of Power and Distribution Transformers up to 100 MVA, 220KV including changing of complete windings, insulation. Silicon Valley Infomedia Pvt Ltd. is the most astounding organization for creating Transformer Design. Our Silicon Valley sets the standard for brilliance and convenience in the business. Silicon Valley is the one stop look for all sort of Electrical Engineering. 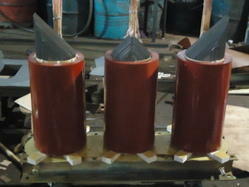 Our clients can avail from us high quality and reliable Transformer Rewinding Services at industry leading prices. Our services in standard and customized specifications for meeting various industrial needs of the clients. We have complete allegiance in offering highly authentic Electric Transformer Repairing Service. 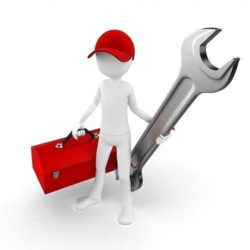 With the use of adroit technicians and advanced tools, our offered repairing services are widely appreciated among our customers. Our firm belief in complete transparency during repairing have gained us respectable place in the market. We offer 10kv single phase to upto 10 Mva transformers of any voltage ratio like 11kv, 33kv class for SEB, EPC, private sector etc. Specifications and/or drawings need to be supplied by the customer, or an Industrial Tests service technician/engineer can make a site visit to acquire any necessary dimensions and/or information. Tarapur is one of the leaders in Repairs, Refurbishment & Up-gradation of Power Transformers ranging from 5MVA/33kV to 315MVA/400kV Class with various options designed as per customer requirement. These transformers are repaired & upgraded under sterile conditions and with the best available materials and processes; these activities are undertaken at our WADA unit.